The perfect girls’ getaway to Bluffton starts with you and your best friends! Create memories for a lifetime for your reunion, bachelorette party, and golden birthday celebrations. There’s no guarantee that what happens in Bluffton, stays in Bluffton! Ready, Set, Go! Sip cocktails at Calhoun Street Tavern. Classic and signature cocktails are in order. We recommend the May River Sipper. This signature cocktail contains vodka, Saint Germain, rosemary, lemons, and berry bitters. The perfect drink to toast the bride to be! Their classic cocktails are not only served cold, but with a smile. Calhoun’s Mint Juleps and Margaritas are two other of our favorite drinks that will not leave you disappointed. Happy Hour is Monday through Friday from 4 – 6. 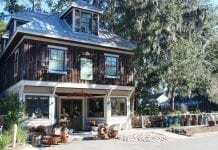 Located in Old Town Bluffton, you’ll feel like a queen in this warm and inviting tavern. 2. Enjoy a pedicure and manicure at The Nail Bar. Relax as you indulge in treating yourself to a mani/pedi. The prices are reasonable and the service is fantastic at the Nail Bar. Call ahead to book an appointment or drop in to see them, but we recommend booking an appointment in advance. 3. Shop on Calhoun Street. Whether you are shopping for you or someone special, you can find a plethora of boutiques and galleries to suit your needs. 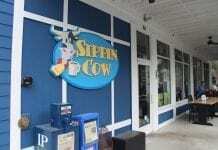 Visit local artists work at the May River Gallery and speak with an artist yourself. Get a fun new Spartina bag and continue on down to Gigi’s boutique for that perfect top or dress you have been looking for! Regardless of if you have children or not, you must stop by The Storybook Shoppe. The owner of the shop personally picks out each book herself, which guarantees you will find the perfect book. Be sure to go next door to The Complete Home to find an array of jewelry, artwork, home decor, and more. 4. Dance the Night Away at Corks Wine. Enjoy live music and keep your glass half full at Corks Wine Bar and Boutique. 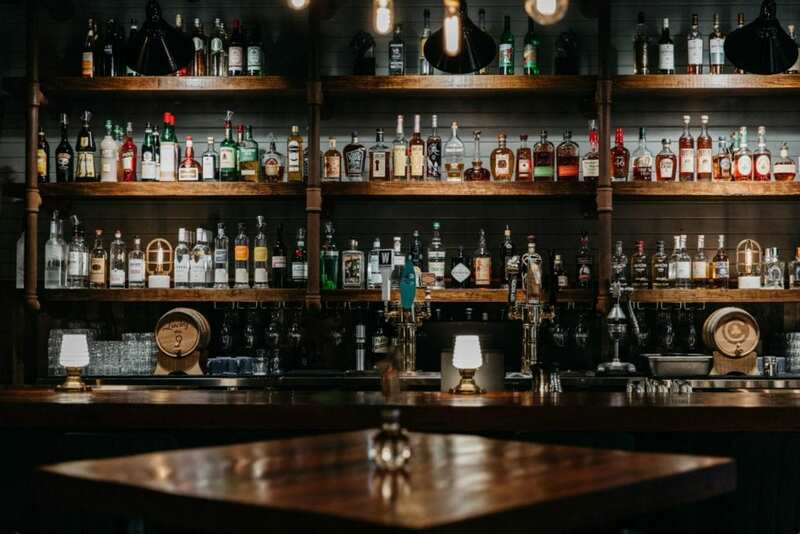 With an extensive wine list, full bar, and scrumptious menu options, all you need to do is bring your dancing shoes! Casual dress is appropriate, and boots will help you rock the whole night. 5. Eat breakfast at Buffalo’s. Start your day off right with the Biscuit Bar (Fridays – Sundays only) or opt for Omelet Station with fresh fruits and classic comfort food like a warm, decadent sticky bun. No matter what you chose, you and your crew will experience first class service at a first class resort. 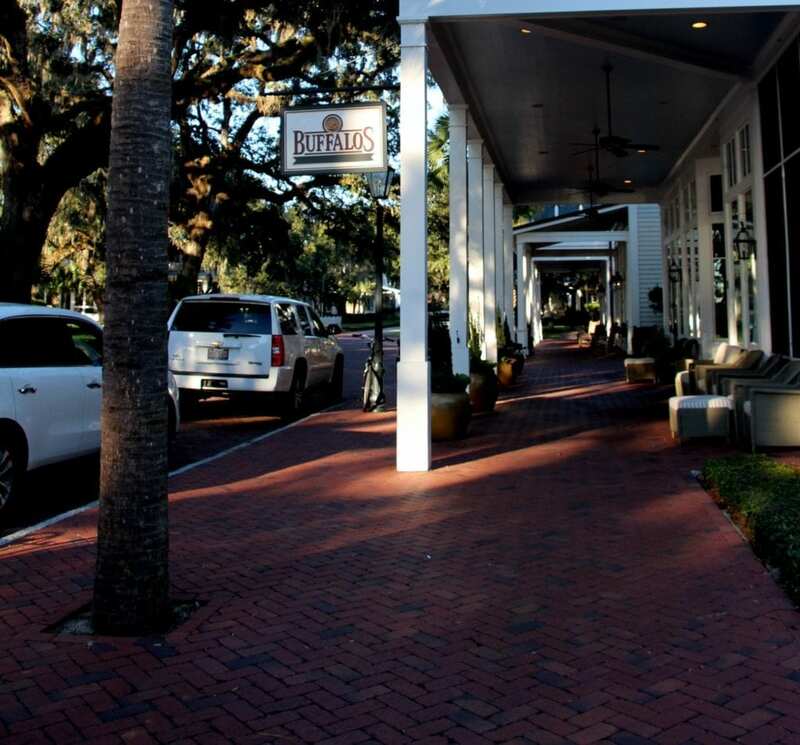 Sit outside and enjoy the perfect Instagram moment while you’re dining at this restaurant located in Palmetto Bluff. 6. Tour the Low Country. 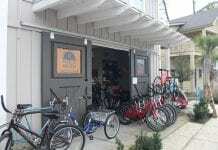 Explore Bluffton’s simplistic beauty on foot, bike, or boat. Dig into the historic Gullah culture on an intimate golf cart guided tour or cherish the picturesque sunset on a boat cruise. Regardless of what tickles your fancy, we recommend you taking advantage of the variety of options May River Excursions has to offer. 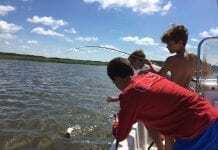 And a ferry ride to Daufuskie Island is great to spend a summer afternoon on the water and on land. 7. Play like a pro. Bluffton, South Carolina is home to many tennis and golf facilities. In fact, some are even world-class tennis and golf facilities. The subtropical climate here makes it perfect for playing either game year-round. Visit the Montage at Palmetto Bluff and encompass yourself with the beauty Palmetto Bluff has to offer. Here, the clay courts are waiting for a fun group, such as yours. Golfing at Palmetto Bluff’s May River is worth every penny. Golf Magazine ranked it #51 out of the top 100 Courses You Can Play. Who knows you may even spot a celebrity or two there while enjoying a game of golf. 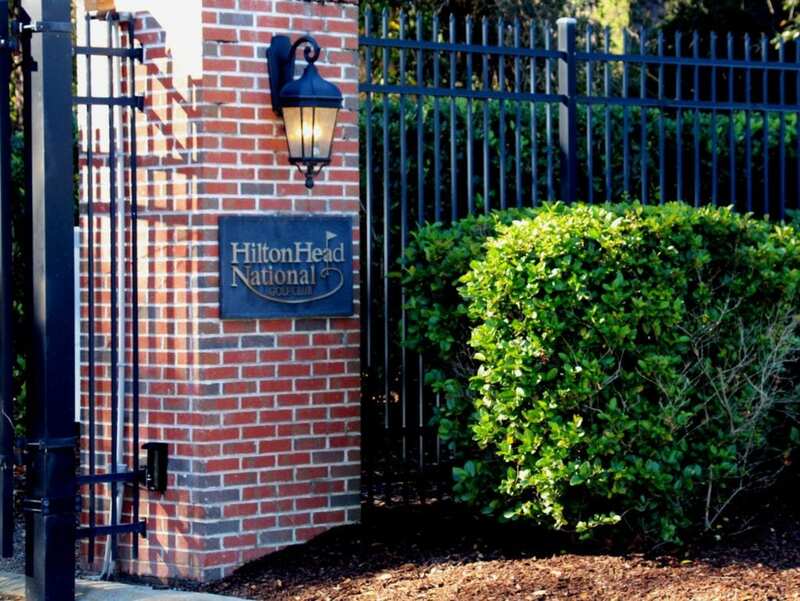 Another phenomenal golf course in Bluffton to visit is the Hilton Head National, which was voted as one of the Top Golf Courses in South Carolina three years in a row. 8. Dine at one of the finest restaurants. 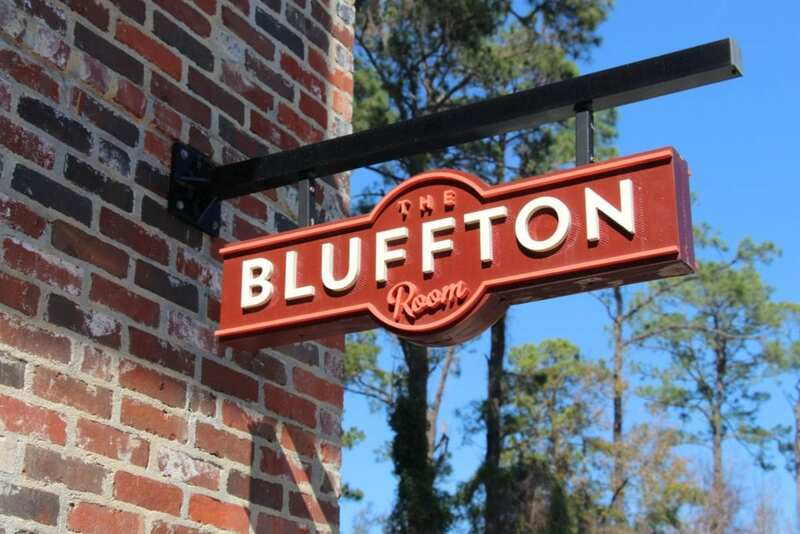 The Bluffton Room is an intimate and vivacious place to enjoy a nice meal. Enjoy classic American cuisine and table-side preparation of delectable salads and desserts. You don’t want to miss out on this dining experience, so be sure to make reservations ahead of time if your group has six or more people. 9. Find your Inner Peace. Wallow in much-needed beauty treatments such as a Natural Facelift, illuminating facial, or relax every muscle in your body with a massage at Inner Peace Massage and Spa. It’s been voted as the “Best Massage” and “Best Day Spa” in 2018’s Best of Bluffton. You can’t go wrong with any service here, ladies. 10. Picnic at Oyster Factory Park. 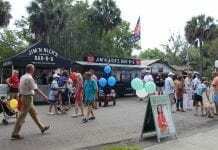 Visit the historic seafood operation and picturesque land on the May River as you devour fresh seafood. No need to shop ahead for anything but some Rose because you can purchase oysters, crab, and shrimp from the market down by the water. Whether you picnic at one of the tables or the open-air pavilion, you will not be disappointed. Oyster Factory Park also has a fire/oyster pit waiting for you to adore. 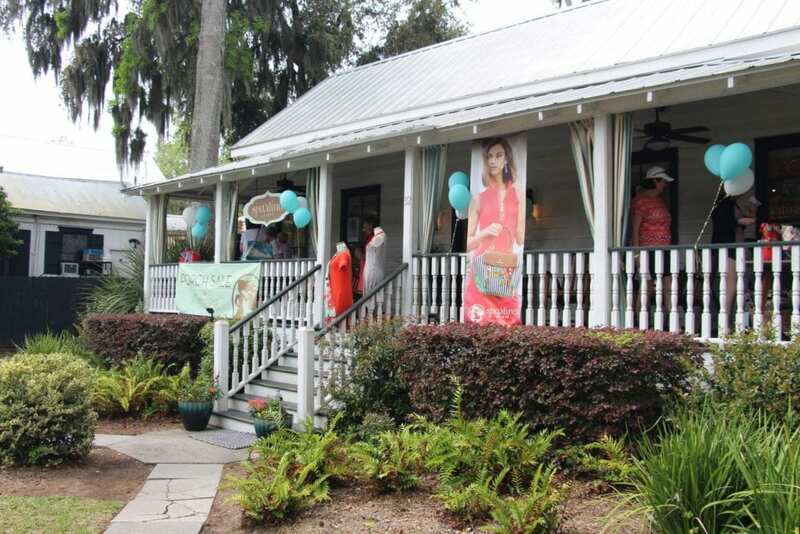 The perfect girls’ weekend in Bluffton is waiting for you, and your friends. 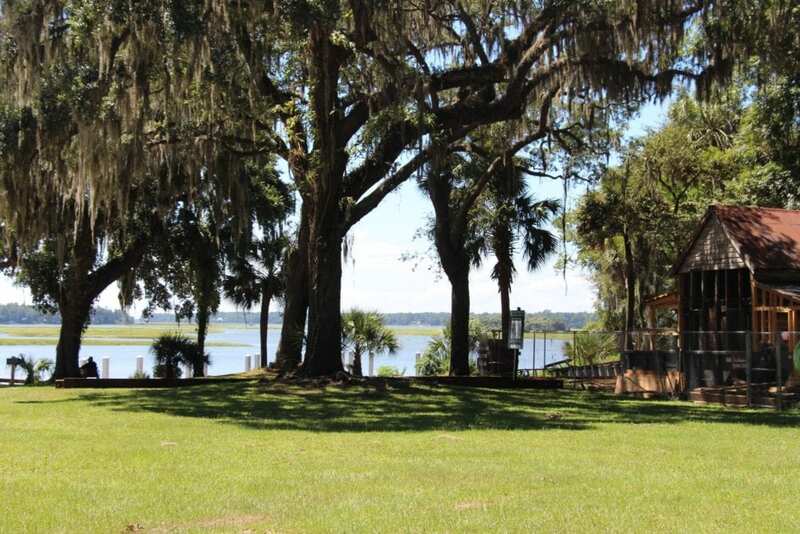 Create memories for a lifetime and enjoy everything that is Bluffton.